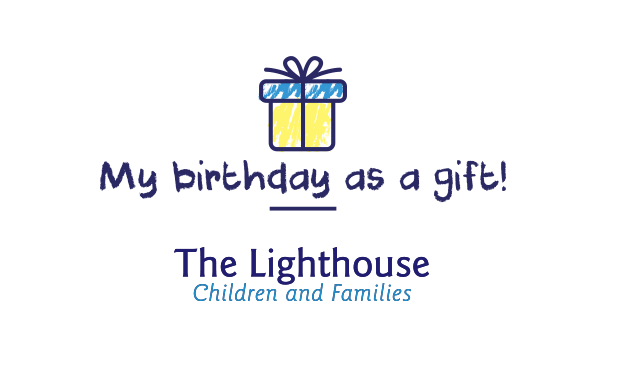 Instead of receiving traditional gifts for your birthday, ask your friends and family to donate in your name to the Lighthouse. Sign up now and create your fundraising page. Set your objective, add your photo, and you are done! Share your fundraising page on social media and by email and collect donations for the Lighthouse. for children and their family. At the Lighthouse, every effort is made so that palliative care children can smile and play until the very end. What is The Lighthouse Children and Families? The Lightouse Children and Families offers to palliative care children the care and services needed throughout their life to maintain the best quality of life possible. The Lighthouse also helps give respite, support and grief counseling to family members. All services are free.